ABC Entertainment president Channing Dungey's job just got a bit tougher. Dungey, the first African-American to head programming at a major broadcast network, canceled her network's top-rated show of the 2017-18 TV season on Tuesday, "Roseanne," after racist tweets by the show's star, Roseanne Barr. Dungey couldn't have taken an action of that magnitude in a vacuum. She reports to Disney-ABC TV Group chief Ben Sherwood, who in turn answers to Disney CEO Robert Iger, who publicly backed the decision, tweeting, "There was only one thing to do here, and that was the right thing." Still, filling the sudden hole in ABC's primetime lineup is a task that will largely fall to Dungey, whose network finished the season with a bit of momentum thanks to the ratings success of "Roseanne" and to a lesser degree "American Idol" and the new drama "The Good Doctor." The move also creates uncertainty at a moment when the networks are negotiating ad deals for the coming season, which officially begins in September. Dungey, 49, was named president of ABC Entertainment in February 2016. Prior to that, she oversaw drama development for the network, where she was involved in launching many of ABC's long-running series, including "Scandal," "How to Get Away With Murder" and "Marvel's Agents of SHIELD." Dungey has been closely aligned with "Scandal" creator Shonda Rhimes -- she first worked with the producer during the early days of "Grey's Anatomy" -- but ABC was shaken when Rhimes entered into an exclusive agreement with Netflix for all future series. Despite that arrangement, Rhimes continues to produce several existing shows for ABC. 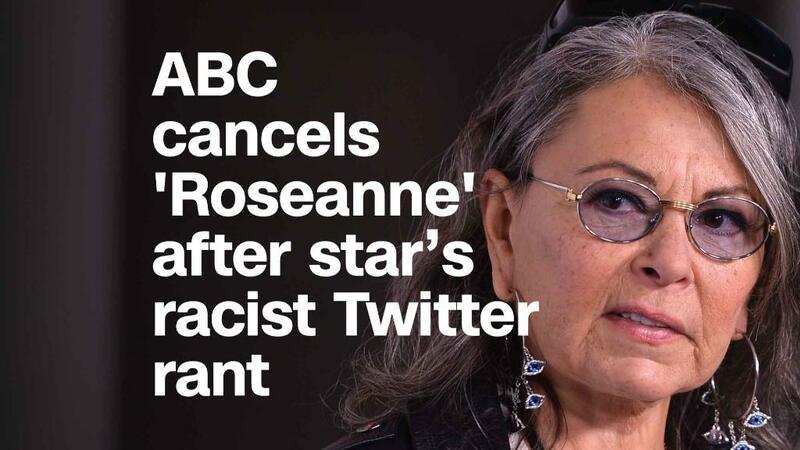 Rhimes was among those who took to Twitter to praise Dungey for taking what was seen as decisive action in canceling "Roseanne." "Thank you, Channing," Rhimes tweeted, while Dungey's sister, actress Merrin Dungey -- whose recent credits include HBO's "Big Little Lies" and Fox's "The Resident" -- also expressed support, tweeting, "My sister is a BALLER." When "Roseanne" premiered to an unexpectedly large audience, Dungey and Sherwood credited the program to an initiative undertaken in the wake of the 2016 election. As Dungey told the New York Times, the goal was to address "economic diversity and some of the other cultural divisions without our own country. That's been something we've been really looking at with eyes open since that time." Dungey's tenure at ABC has been no stranger to controversy, including the decision to pull an episode of the sitcom "Black-ish" that dealt with the debate over NFL players kneeling during the national anthem, and shutting down -- before eventually resuming -- production of the reality show "Bachelor in Paradise" in 2017, after allegations of misconduct involving two contestants. Dungey's current position includes oversight of all programming for ABC primetime as well as late night. A UCLA graduate, she joined ABC Studios in 2004, after working in feature films at various production companies and at Warner Bros.